Ethics Education for Children promotes values and ethics for children and young people within the framework of the child's right to education Teaching Your Child to Be Ethical. Trustworthiness - Be honest. Don't deceive, cheat or steal. Respect -Treat others with respect. Be tolerant of differences. Responsibility Do what you are supposed to do. Use self-control. Fairness Play by the rules. Take turns and share. Test your Children IQ with Ethics Quiz Answer all question and win freebie. Quiz 1 : You find Rs. 100 in the Classroom. What do you do? A) Quickly pick up before anyone else comes in and sees it. B) Use it to buy your snacks for the day. Quiz 2 : You have a class test , but you had a mild fever the previous day and were not able to prepare for the test. Your best friend, Rahul, is also in the class with you and has offered to help you on the test. Nobody would see if you decided to take Rahul up on the offer to help? What would you do? A) After attempting the test, there are only two answers that you do not know, so you let Rahul help you. B) Since nobody will know, and you don't want to have a bad grade, you let Rahul help you on the test. C) You go ahead and take the test and accept whatever grade you get. D) You speak with your teacher and explain the situation. If they then tell you that you have to take the test anyway, you figure that they don't care about your situation and you decide to take Rahul up on the offer. Quiz 3 : You are buying a notebook from a stationary store. While returning change, shopkeeper has handed over Rs 400 extra. What would you do? Quiz 4 : You’re with some friends at the park. You know that there are three different bins for recycling, but you see your friend throw an empty drinks can into the paper bin. Do you …? A) Guide your friend about the correct use of the 3 bins and ask him to correct his mistake. B) Mumble something about recycling but decide it’s not worth the effort to say anything. Moving the can into the correct bin yourself is the easiest way to sort it out. C) Better not say anything – it’s only a can, right? Quiz 5 : You are spending the afternoon with a friend of yours who isn’t very popular. You run into a group of your friends who invite you to go to a movie but they say that your unpopular friend can’t come. What would you do? A) Avoid your unpopular friend with some excuse. B) Tell your group of friends that you cannot join them without your friend as you have already promised to spend time with him. Quiz 6 : You are in the middle of your class test, when your best friend signals you to tell him the answers. What do you do? A) Share the answers as he is your best friend. B) Tell him NO, one should not cheat. C) Tell him that you will finish your test and then help him. Quiz 7 : You are returning from school and see a group of seniors bullying a junior from school. What do you do? A) Ignore and keep walking. B) Step up and ask them not to do so. C) Laugh at the situation. Quiz 8 : You go to the movies with your friends instead of going to tuition. On returning home, your mom asks you how was your lesson today. What do you reply? B) Tuition went well, learnt a new chapter. C) Ignore, keep shut and go to your room. Are you ethical? 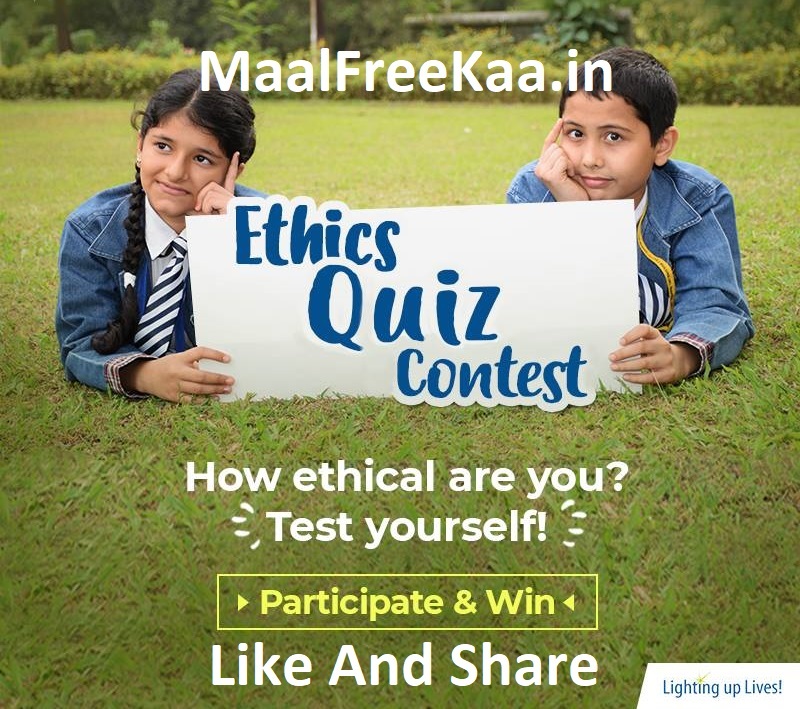 Participate in Ethics Quiz Contest and stand a chance to win.